Clear deep amber color. Bright, hoppy aromas and flavors of buttered toast and honeyed herbs and citrus with a soft, bright, fizzy, dryish light-to-medium body and a polished, brisk finish with notes of honeyed nuts and lemon pepper finish. A sold, nicely hopped cream ale. Bottom Line: A sold, nicely hopped cream ale. Cream ales are pale in color and range from 4-5.5% in alcohol. These beers are generally more carbonated and hopped than light lagers. Cream ale is a North American specialty that is somewhat of a hybrid in style. Despite the name, many brewers use both ale and lager yeasts for fermentation. 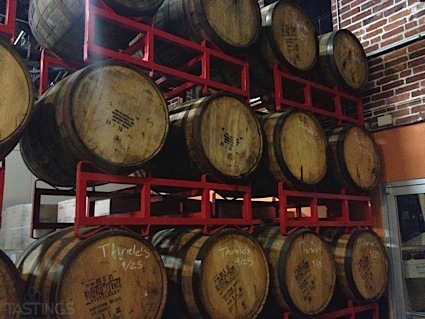 This style is fermented similar to ales at warm temperatures, but then lagered at colder temperatures. The resulting brew has the unchallenging, crisp characteristics of a light pale lager, but is endowed with a hint of the aromatic complexities that ales provide. Noteworthy examples of this style include: New Glarus Spotted Cow, Reuben’s Brews Cream Ale, Little Kings Cream Ale and Granville Island Kitsilano Maple Cream Ale. 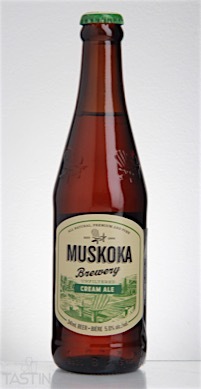 Muskoka Brewery "Cream Ale" rating was calculated by tastings.com to be 87 points out of 100 on 5/13/2016. Please note that MSRP may have changed since the date of our review.